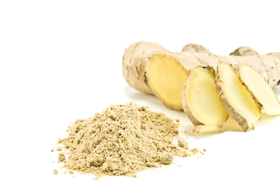 Ginger has been used for its medicinal properties for centuries among many cultures. Let’s see some of the ginger powder benefits here on this page. The Dry Ginger Powder is also known as Sounth powder, Saunth powder, Sukku etc. This comes from fresh ginger that is dried before being used. It is a fine off-white powder that has a strong aroma and pungent flavour. This is mostly easy to store and has a long shelf life of a year. Ginger Powder Benefits: Dried ginger powder is also used for food preparations for expecting women and feeding mothers. The dried ginger powder is used for adding flavour to a variety of baked dishes like ginger cookies and ginger candies. The dried ginger powder is used in spices and masalas for gravies, curries, marinades, stews etc. HeadacheThe most common problem of headaches can be cured by applying the powder paste on the forehead. This therapy is used to cure headaches. You can also apply the paste on your throat to relieve throat pain. Ginger Powder Benefits in Chest Pain: Chest pain can be cured by using dry ginger powder. Mix dry ginger powder and sugar in tender coconut water. Drink it to cure chest pain. Ginger Powder Benefits in Common Cold: Ginger powder is one of the common ingredients found in your kitchen which helps treat the symptoms of common cold. Consume raw ginger or drink dry ginger tea several times a day to get relief from cold. You can also make a paste of dry ginger powder, clove, and salt and consume this twice a day to cure cold symptoms. Another method to cure this is to mix the dry ginger powder with jaggery to cure a running nose. Weight loss: Ginger tea is the best remedy to lose weight. Add ½ teaspoon of dry ginger powder in a cup of hot water. Dissolve this properly and drink this every day for weight loss. This tea can also be sweetened with honey if required.